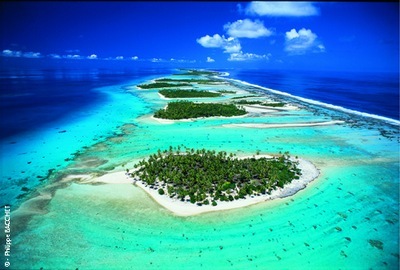 Why buy your sailing boat in French Polynesia ? The island of Raiatea is ideally situated in French Polynesia. At the heart of the Leeward Islands, surounded by a lagoon that it shares with Tahaa, the vanila island, 30 miles off Huahine, the wildest island, and a few miles off the mystical Bora-Bora, Raiata is the perfect sailing spot. From a higher perspective, nearness with New-Caledonia (2400 Miles), New-Zealand (2100 M), Hawaii (2100 M), as well as Australia (3100 M), United States (3600 M), make possible deliveries toward these destinations. Finally, a sabatical year in French Polynesia is good alternative to the usual Atlantic tour : buy your boat on-the-spot, and discover smoothly all the charms of French Polynesia. The currency used in French Polynesia is the "Franc Pacifique" : Franc CFP ou XPF, like in New Caledonia. The exchange rate is fixed with the Euro. The telephone international prefix of French Polynesia is 689. From foreign country, dial 00 689, then the 8 numbers. Please take care to the time difference, our local time is GMT-10h. - must not work in the Polynesian territory. - cannot be loaned nor rented. The placement of a yachting boat for private use under the temporary admission regime can occur without any minimum time between two stays in French Polynesia subject to presentation before the authorities of a proof of departure from French Polynesia and entry into a foreign territory." The sale of a private use yachting boat in temporary admission can be allowed upon demand by the customs administration for non-residents. In that case, the tax to have the vessel available on the local market, also known as "papeetization", will be paid by the resident buyer after the sale. If the vessel is sold to a non-resident, the boat will stay in temporary admission, with unchanged duration. The law provides for exoneration of customs duty for all pleasure boats (sailboats with or without auxiliary motor and motor boats other than outboard motor). Furthermore, the VAT rate is reduced to 5% for imports and sales of sailing boats or motor boats other than outboard. The rate of papeetisation therefore passes to 7%. Who should pay the "papeetisation" tax? If you are becoming resident, or work in French Polynesia, the importation taxes called "Papeetisation" must be paid. Raiatea Yacht can help sellers and buyers to solved taxes problems. All boats registrated in French Polynesia (PY) must pay a selling tax of 5 % to the "Tresor Public", for the bill of sale registration. If the Boat is non flagged in French Polynesia, this tax is not due. You will find in Tahiti or Raiatea all the technical resources you need for boat maintenance and repair.